What Texas is to the United States, Nigeria is to Africa. Slightly larger than the Lone Star State, Nigeria is situated on the western part of the Africa. Like Texas, oil is also a cornerstone of Nigeria's economy. The international spotlight is now shining on Nigeria, which is also Africa's most populous country, as 276 Nigerian school girls remain captives of an extremist group that has threatened to sell them into slavery. Since their abduction several weeks ago, the plight of the girls has attracted the world's attention and mobilized men and women from all walks of life in Nigeria to raise their voices. Here's a look inside Nigeria -- from the culture, to the economy to who's running the country. 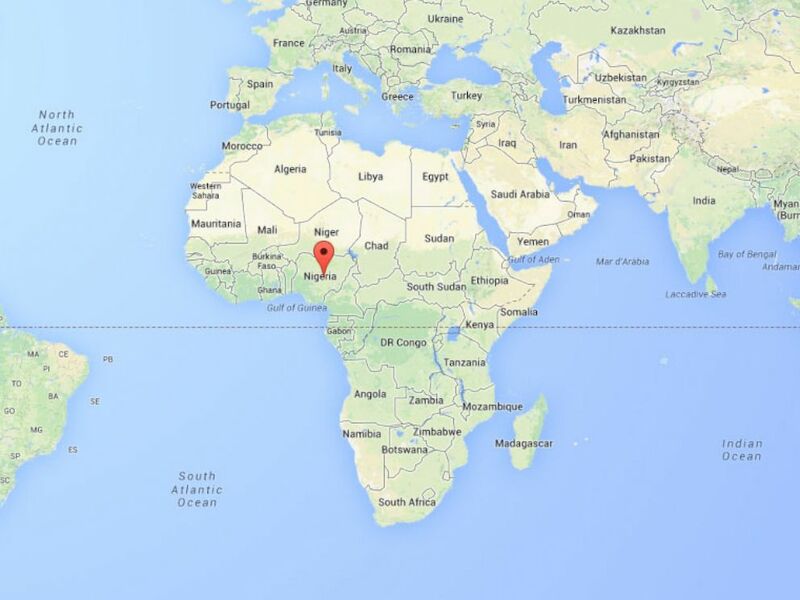 A map points to Nigeria in West Africa. English is Nigeria's official language, however the country is home to more than 50 indigenous languages, according to the Central Intelligence Agency's World Factbook. An estimated 50 percent of Nigerians are Muslim, while 40 percent are Christian and 10 percent have indigenous beliefs, according to the CIA. Nigeria is Africa's largest economy thanks to oil revenues and continues to gross at 6 to 8 percent per year, according to the CIA. Despite Nigeria's riches, the wealth disparity in the country is still significant. The CIA estimated that about 105 million people -- 62 percent of the country's population -- still live in extreme poverty. Nigeria has several large urban centers, including the capital city Abuja, Kano, Ibadan and Lagos. The country is bordered to the west by the Gulf of Guinea. The southern part of the country is lined with swamps and mangrove forests, while inland are hardwood forests. Nigeria shares borders with Benin, Niger, Cameroon, and Chad. Goodluck Jonathan assumed the Nigerian presidency in 2010 after the death of the previous leader. He was elected to the office on April 16, 2011. Born into a family of canoe makers in 1957, Jonathan went on to carve his own path, studying zoology at university, according to the BBC. Jonathan's lack of swift action to find the girls has been criticized. On the eve of the World Economic Forum being hosted in Nigeria, Jonathan said he would accept international help to find the girls.